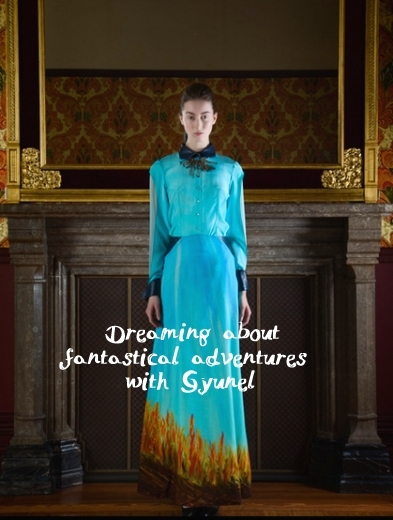 Gyunel This outfit by “ready-to-wear” and “demi-couture” brand Gyunel oozes a magical elegance and makes us think about fantastical adventures in faraway lands. Tahir Sultan We loved this outfit by Tahir Sultan because of its warm and earthy tones and its comfortable look, which make it perfect for chic travelling, as intended by the designer. 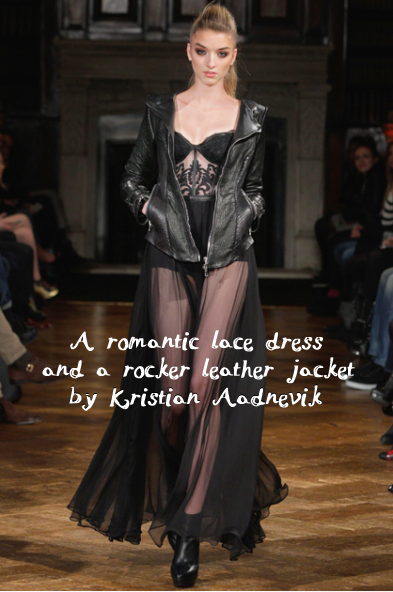 Kristian Aadnevik We loved the contrast between the romantic bustier lace and silk chiffon gown and the rocker leather jacket. 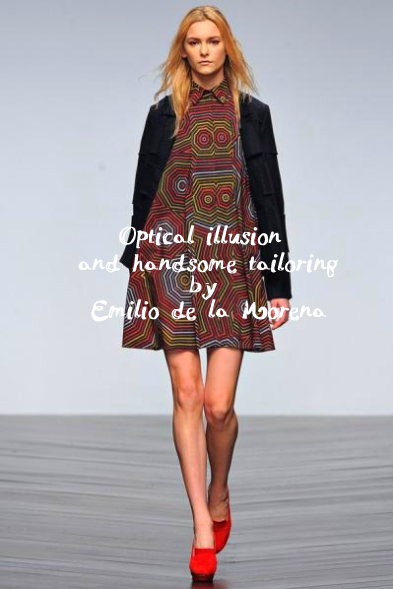 Emilio de la Morena We were totally fascinated by the kaleidoscopic print of this dress by Emilio de la Morena. 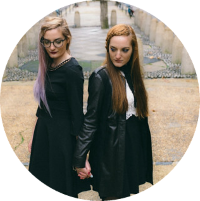 Optical illusions and handsome tailoring make a great pair! 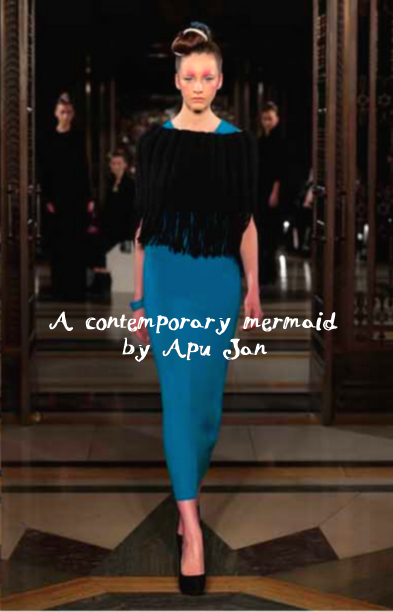 Apu Jan Apu Jan's Petroleoum collection is inspired by the darkest depths of the ocean. This outfit is exactly what a contemporary mermaid would wear if she visited the out-of-water world). Ethereal and enchanting. 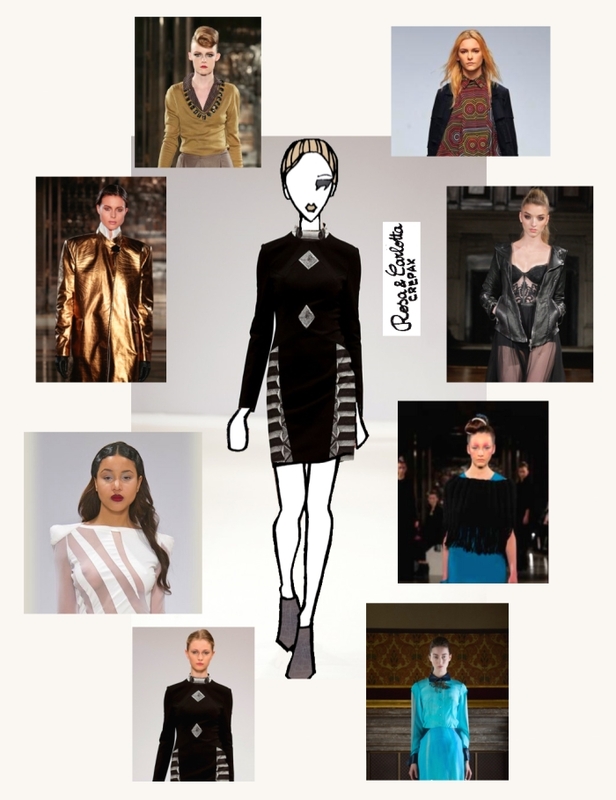 Krystof Strozyna The perfect little black dress with a futuristic feel. Carlotta Actis Barone This mini dress by Carlotta Actis Barone contrasts refined matte surfaces and alluring revealing mesh. 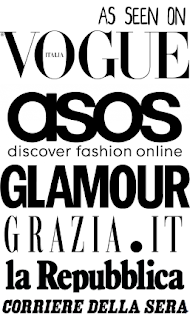 Highly elegant yet perfect for clubbing. Lug Von Siga We absolutely loved this androgynous ensamble by Lug Von Siga. 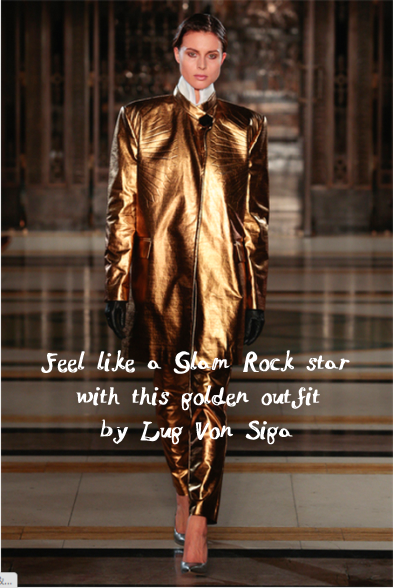 Wearing this golden suit anyone can feel like a glam rock star.